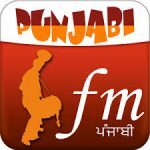 FM Punjabi is one of the most famous online radio station on India. Music is at the heart of FM Punjabi. FM Only few other radio cares about their radio main vision as FM Punjabi. As this is a very popular thematic radio station the radio has its own vision and style. They wants to electrify their listeners through their presentation of various kinds of music.